Switzerland is a great place to spend your holiday. The diversity of our mountainous landscapes provides the country with its special identity. Switzerland is best known for its banks, great variety of cheeses and chocolate, famous watches and its public transport system. Switzerland is situated in the center of Western Europe and consists of an area of 41,295 square kilometers (15,940 square miles). 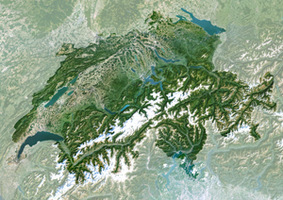 The country is geographically divided between the Swiss Alps, the Swiss Plateau (or "Mittelland") and the Jura mountain range, whereby most of the territory (approx. 65%) is covered by the Alps: this majestic mountain range extends from the west bordering France to the east bordering Austria. Switzerland is land-locked without accessing any sea, and further is neighboring Germany in the north, Italy in the south, and Liechtenstein in the east. 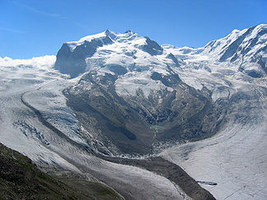 Among the high valleys of the Swiss Alps many glaciers are found; from these originate the headwaters of several major rivers, such as the Rhine, the Inn, the Ticino and the Rhone, which flow in the four cardinal directions into the whole of Europe. Switzerland has more than 1,500 lakes including Lake Geneva, Lake Constance and Lake Maggiore which belong to the largest bodies of freshwater in Central and Western Europe. Switzerland hosts approx. 8 milion people and comprises three main linguistic and cultural regions: German, French, and Italian, to which the Romansch-speaking valleys of the Graubunden are added. The Swiss, though predominantly German-speaking, do not form a nation in the sense of a common ethnic or linguistic identity. 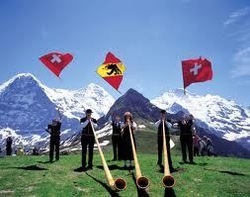 The strong sense of belonging to the country is founded on the common historical background, shared values (federalism and direct democracy) and Alpine symbolism. The Swiss are obsessed with cleanliness, punctuality and a good working attitude which rewards them the highest standard of living in Europe - Switzerland is one of the richest countries in the world by per capita gross domestic product, has the world's 19th largest economy by nominal GDP, and has the highest wealth per adult (financial and non-financial assets) of any country in the world! Zurich and Geneva have been ranked as the cities with the second and third highest quality of life in the world. 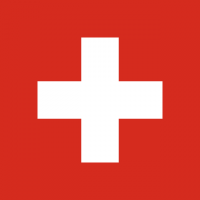 Switzerland has existed as a state in its present form since the adoption of the Swiss Federal Constitution in 1848. The precursors of Switzerland established a protective alliance at the end of the 13th century (August 1291), forming a loose confederation of states which persisted for centuries - the Swiss celebrate this on August 1st as their National Holiday. Switzerland is a federal republic divided into a Executive, Legislative and Judicial branch. Switzerland's capital is Bern. The country is divided into 26 administrative Cantons. The Swiss Parliament consists of two houses: the Council of States which has 46 representatives (two from each Canton and one from each Half-Canton) who are elected under a system determined by each Canton, and the National Council, which consists of 200 members who are elected under a system of proportional representation, depending on the population of each Canton. 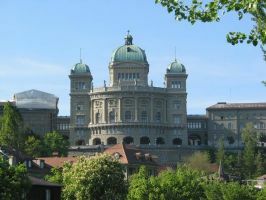 The Swiss Parliament elects the Federal Council which constitutes the federal government, directs the federal administration and serves as collective Head of State. It is a collegial body of seven members, elected for a four-year mandate. The Swiss Parliament also elects the President of the Confederation from among the seven members, traditionally in rotation and for a one-year term. The President chairs the government and assumes representative functions, however, has no additional powers and remains the head of a department within the administration. Tourism in Switzerland began in the mid-19th century with the first ascents of the main peaks of the Swiss Alps mostly by British mountain climbers accompanied by local guides. At the same time the construction of facilities for tourists started with the building of hotels, mountain huts and mountain railways. Today, the infrastructure for tourists is very developed, and the Swiss are friendly and proud of the beauty of their country. Many Swiss speak decent English, and one other Swiss language - French, German, Italian, or Romansch. Switzerland is a small country (approx. size of New Jersey) and its main tourism destinations are concentrated within a short distance from each other making it possible to visit several attractive places within a relatively short period. Switzerland offers many impressive peaks, beautiful lakes and interesting cities. A longstanding tourist tradition will leave you with long lasting memories of a great holiday.